Magic Cabin has been guided by the simple notion that children's lives are enriched by ample time for open-ended, creative, imaginative play. We believe in good-old-fashioned make believe and in children's innate need to interact with simple, natural toys and crafts. While childhood becomes endangered we pioneer towards protecting this special time in life by conscientiously selecting products that are beautiful and enchanting, sturdy and safe, and best of all, FUN. Browsing through Magic Cabin's Catalog is inspiring, reminding me of magic that exists in childhood and of the wonderment that children have when exploring the great big World around them! Summer offers so many opportunities for parents to create adventures and teaching moments with their children....it's one of our absolute favorite times of the year! This year we're looking forward to exploring more outdoors. We have a fairly large backyard for the kids to explore in, and plenty of "climbable trees" which you will frequently see my kiddo's climbing during the warmer months. Their climbing has been taken to new heights with the Rope Ladder from Magic Cabin. 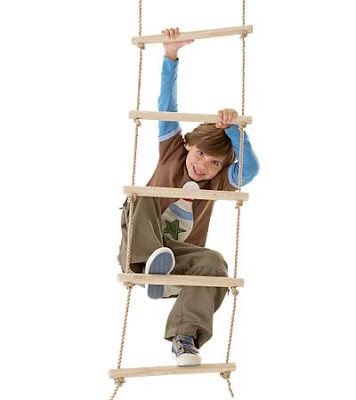 The sturdy Rope Ladder was easily secured to a strong branch of one of our larger trees (clear installation instructions included) and has became a fast favorite! 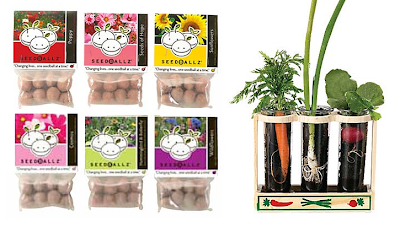 Last year we tried to plant some Seeds with the kids, and they were grossly disappointed (as was I) when many of them didn't grow, however, we won't have that issue with Seedballz this year! 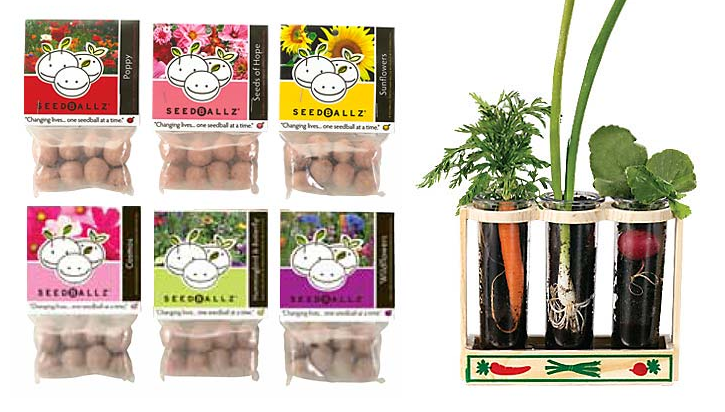 Seedballz contain an entire packet of seeds in each ball (each ball is rolled in clay which softens as they are watered and seeds sprout (as if by magic!). I was surprised by how incredibly easy they are, you simply place them on the soil and press lightly (being careful not to bury the Seedballz) and water daily....it's that simple! The kids are very excited for the Butterfly & Hummingbird mix, the Wildflowers, and the Sunflowers to bloom (as am I). 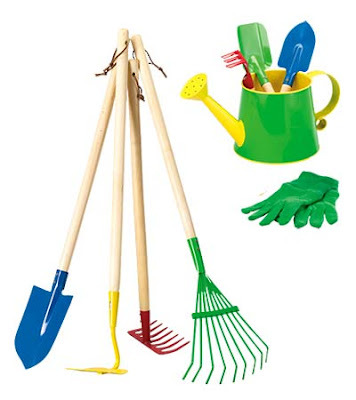 Since the kids have been really getting into the concept of gardening and farming, I thought that it would be educational and FUN to show them the science behind it all, with the Root Viewer kit. The kids planted a small window garden in the Root Viewer ( Carrots, Radish, and Onions), and will now have the opportunity to watch as the plants grow. The see-through tubes allow us to see the plants taking root and observe as they grow under the soil (rather than simply seeing what happens above ground and the physical product). We planted these a few days ago and the kids are eagerly watching for changes so that they can jot them down on the included observations chart. We've gotten a jump start on Summer fun with some help from these great items from Magic Cabin! The wonderful items available at Magic Cabin help to fuel the Magic that is Childhood! Outdoor Summer Fun with Magic Cabin! One Lucky Reader will receive a $50 Gift Card to Magic Cabin! Leave a comment~Visit http://www.magiccabin.com/ and let me know which item you would like to have for your little one. The comment is considered your entry. Entry to this giveaway ends at 12pm PST June 9, 2011. Winner's are chosen randomly through random.org.The winner will be announced in a post within 7 days of the giveaway ending, and contacted through email. The winner will have 48 hrs. to respond or another winner will be chosen. I love the sand box at http://www.magiccabin.com/Austrian-Sandbox_p550_S2003_D1102_C2203.html would love to have that for the wee one! I would get Boon products like the Snack Ball! I'd love to have the Hop Balls for my little one and I am a public follower via GFC. 1 I follow Magic Cabin on TWITTER. 2 I follow Magic Cabin on TWITTER. 3 I follow Magic Cabin on TWITTER. 4 I follow Magic Cabin on TWITTER. 5 I follow Magic Cabin on TWITTER. 6 I follow Magic Cabin on TWITTER. 7 I follow Magic Cabin on TWITTER. 8 I follow Magic Cabin on TWITTER. 9 I follow Magic Cabin on TWITTER. 10 I follow Magic Cabin on TWITTER.